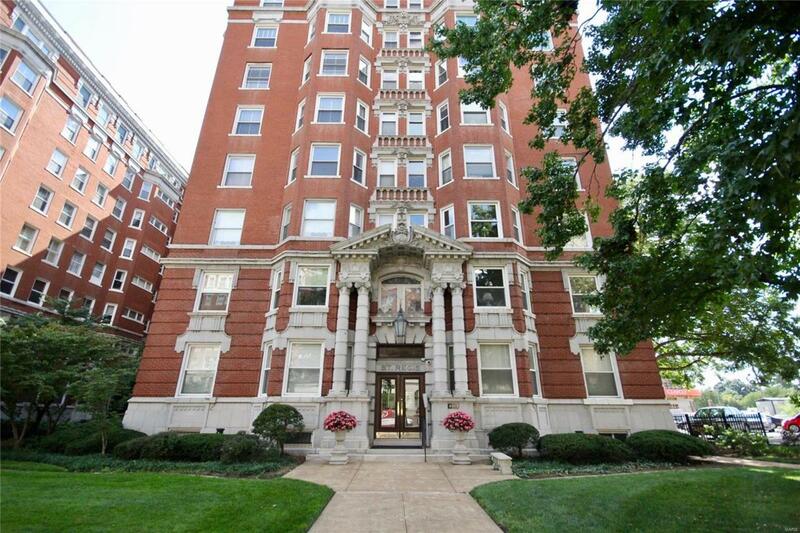 Exquisite 1911 New York-style co-op building, directly across from Forest Park and the Chase Park Plaza. This is an elegant, light-filled unit on the top floor, featuring wood-burning fireplace, oak floors, 9-ft ceilings, elaborate mill work, lovely plantation shutters, built-in bookcases, and a 16 x 9 formal entry hall. The eat-in kitchen has stone tops, and there are thermal windows throughout. A common-area laundry room is in the basement, but in-unit washer/dryers are also permitted. 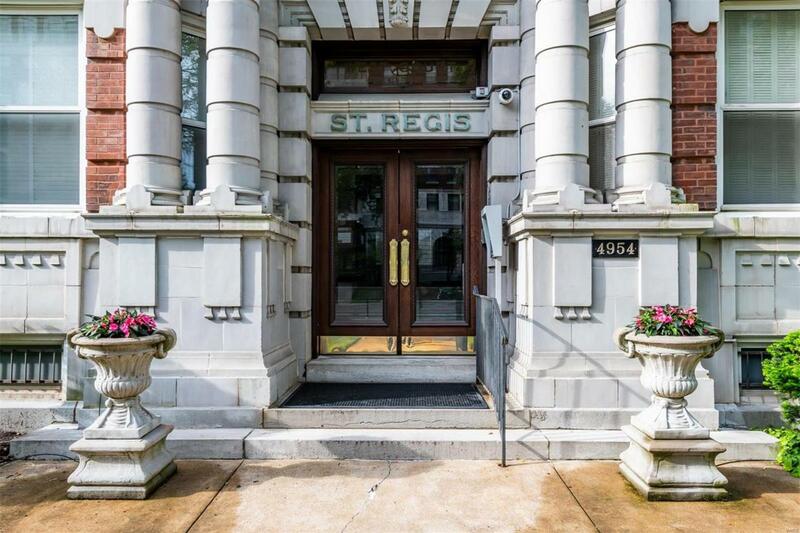 The St. Regis is a quiet, private, elevator building with excellent management, 24-hour security, plus owner and guest parking lots. The ALL-INCLUSIVE monthly fee ($1,145) covers real estate taxes (prox. 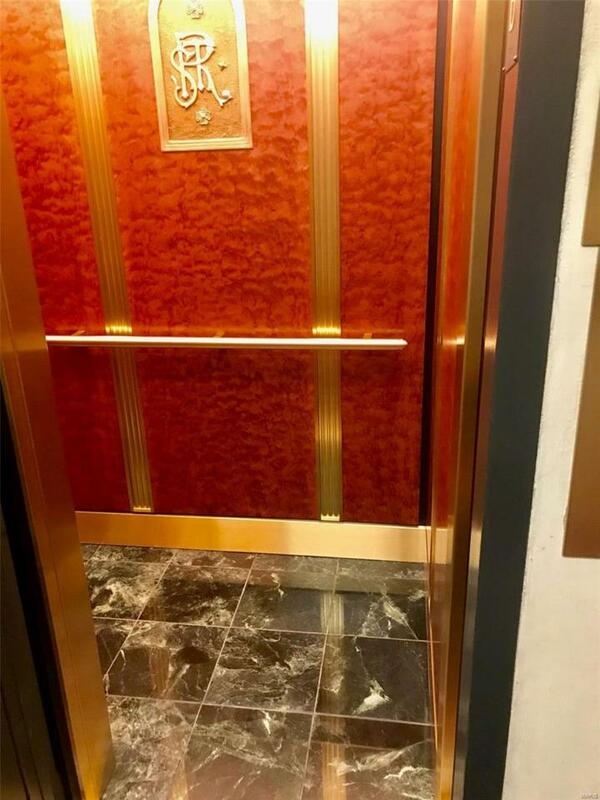 $300/month), property insurance, landscaping, snow removal, common area maintenance, receptionist, water, sewer and trash. 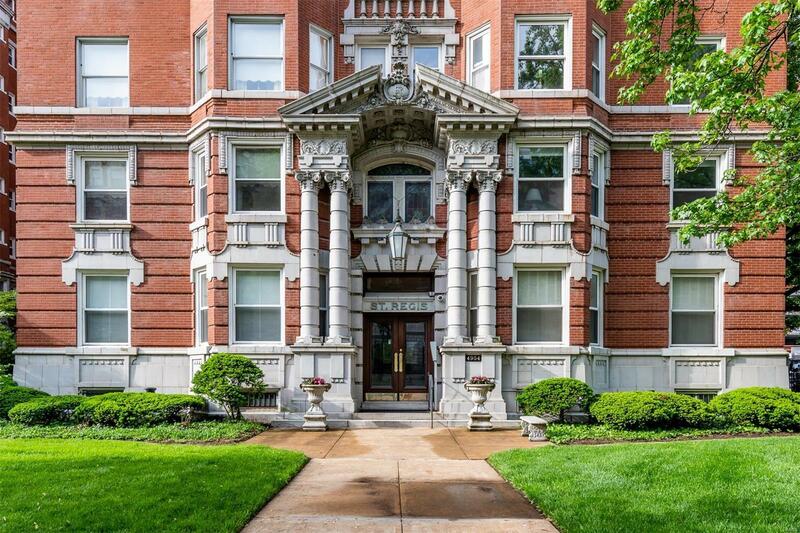 This is the ideal Central West End location, only steps to Forest Park, Whole Foods, Straub's Grocers, Chase Park Plaza Cinema, the library, and cafes along Euclid Avenue. Vitals First Refusal Reqd Association Mgmt. Occupancy Restrict Resident Mgmt.